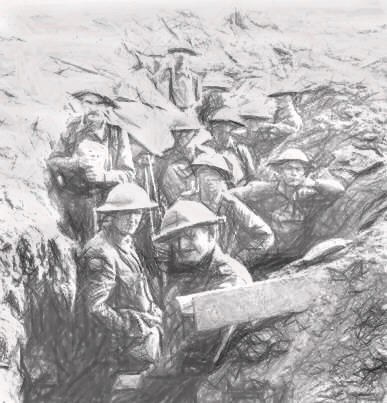 Christmas 1916 saw the Second Battalion, The Royal Welch Fusiliers in the trenches on the Western Front. They did however manage Christmas dinner. "soup; roast meat with potato, carrort, turnip and onion; plum pudding; an apple, or orange, and nuts. The sergeants had whisky, port and cigars." "pate de foie gras, julienne, curried prawns, roast goose, potato and cauliflower, plum-pudding, anchovy on toast, dessert; Veuve Cliquot, port, cognac, benedictine; coffee." taken from 'The War The Infantry Knew - 1914-1919' by Captain J.C.Dunn. A special addendum within the War Diary of the 15th Battalion of the Royal Welsh Fusiliers can be seen for the 25th of December 1916. A room at Bollezeele Station in northern France was hired, cleaned, furnished and decorated for a Battalion Christmas dinner. Six hundred men were served soup, turkey and vegetables, Christmas pudding and sweets which were washed down with stout and beer, and a concert followed which was given entirely by the men and lasted until eleven o’clock in the evening, when all were “well satisfied”. It was announced in the Daily Courant that Ingoldsby’s Regiment was to be known as the ‘Welch Regiment of Fusileers’. 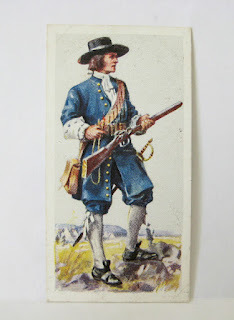 The title derives from the fusil or flintlock musket which by the end of the 17th century had superceded the matchlock which was fired by a slow-burning match. The flintlock was first introduced for foot soldiers who guarded the artillery to avoid having burning matches in the vicinity of gunpowder. It was a great honour for the Regiment. 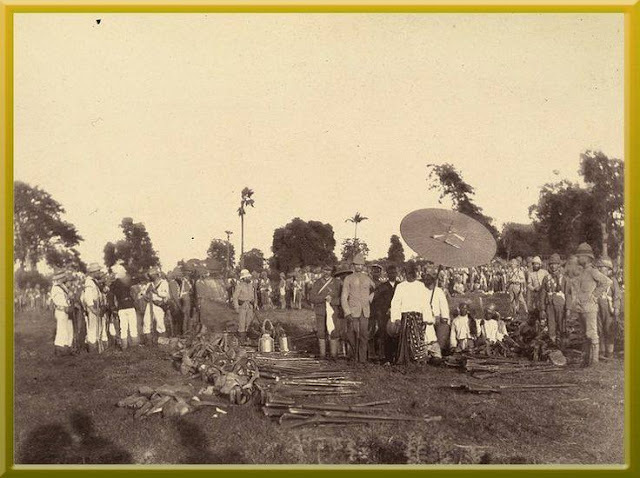 1 RWF, serving in India, was ordered to join the force about to leave for Rangoon because of strained relations between the King of Burma and the Indian Government. A brigade, which included 1 RWF, was sent to Ava. The Burmese requested an armistice. This was refused until King Theebaw surrendered himself. On the 27th this was agreed and next day he surrendered unconditionally, and was escorted by B Company to the waiting steamer. 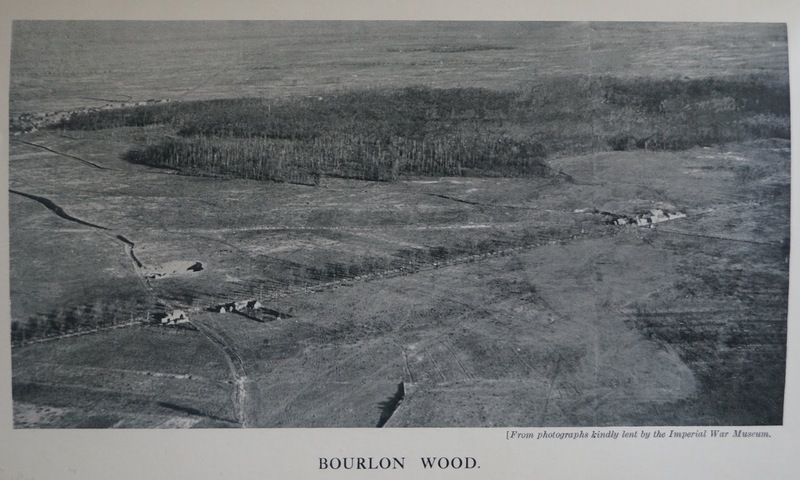 The failure to take Bourlon ridge during the tank battle of Cambrai meant its capture was given to 40th Division with 19 RWF, a ‘bantam’ battalion of men under 5' 3". The wood was cleared, and the ridge occupied with difficulty. The Germans counter-attacked from dawn on the 24th and the defenders were driven off in the afternoon. It was regained by an assortment of ad hoc units. When relieved on 26th/27th 19 RWF had suffered 370 casualties. 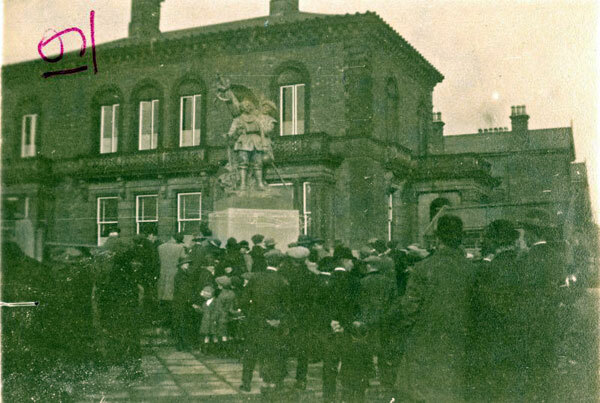 It was dedicated by the Archbishop of Wales in front of a large number of serving and former members of the Regiment. 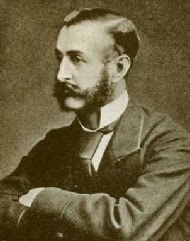 It was designed by Sir William Goscombe John, RA.